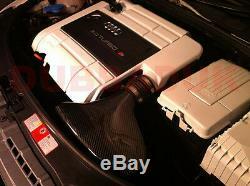 VW GOLF MK5 2.0 GTI and EDITION 30 CARBON AIR BOX INDUCTION INTAKE KIT. 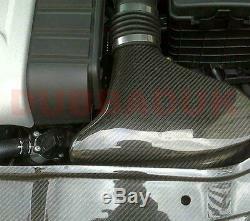 01 Carbonspeed Air Intake System. Replacing the factory air scoop at the front of the engine bay. CAI kit gives a typical increase in torque of over 10%. Airflow increase of approximately 50% over the factory system. Comes complete with a full fitting kit. To Fit The Following Models. Audi A3 2.0T FSI 200bhp - AXX / BPY / BWA. Audi S3 2.0T Quattro 256/265bhp - BHZ / BZC. Seat Leon Mk2 2.0T FR/Cupra - BWA / BWJ. Skoda Octavia Mk2 vRS 2.0T - AXX / BWA. VW Golf Mk5 GTI 2.0T (inc Edition 30). AXX / BPY / BWA. WRITTEN ON THE ENGINE COVER. 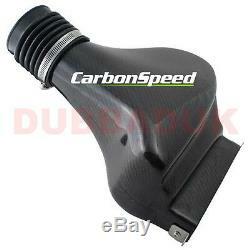 Why Fit A Carbonspeed Air Intake. Flattens Torque Curve (engine is less'peaky'). Enhances Engine's Volumetric Efficiency. Enhances Sound of Turbo Diverter Valve. Works with All Aftermarket Diverter Valves. Installs in an Hour (does not require bumper or headlight removal). Maintains All Factory Emissions Components. Fits Both Manual and Automatic Transmissions. Unique Thermal Barrier Composite Construction Ensures Low Inlet Temperatures. 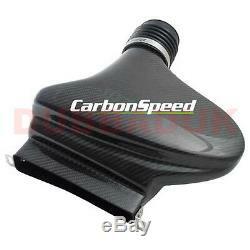 The item "VW GOLF MK5 2.0 GTI TURBO ED30 CARBONSPEED CARBON AIR BOX INDUCTION INTAKE KIT" is in sale since Thursday, June 22, 2017. This item is in the category "Vehicle Parts & Accessories\Car Tuning & Styling\Air Intake & Induction\Other Air Intake & Induction". The seller is "haz_motorsport" and is located in GB.